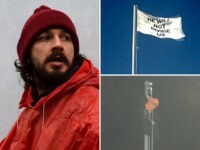 Nantes (France) (AFP) – American actor Shia LaBeouf’s artistic protest against US President Donald Trump has been attacked again — this time by vandals using a flaming drone in western France where it went on display this month. 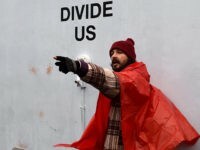 Actor Shia LaBeouf reportedly got into a screaming match with another person at an L.A. bowling alley Wednesday night, calling the other bowler a “f*cking racist” before staff asked him to leave, according to a report. 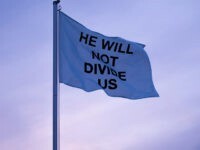 A government-funded cinema and gallery in Liverpool is now hosting Shia LaBeouf’s anti-Donald Trump art installation, which was closed down for political violence in its original location. 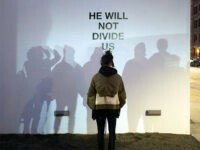 Shia LaBeouf’s anti-Donald Trump art installation at the Museum of the Moving Image in New York City has closed permanently after the site became a magnet for partisan political violence. 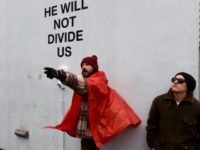 Actor and performance artist Shia LaBeouf kicked off his planned four-year-long protest of President Donald Trump this week by enthusiastically participating in the live-streaming museum exhibit in New York City that he helped to create. 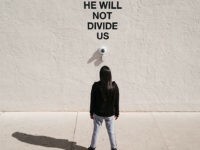 Actor and performance artist Shia LaBeouf is back with his latest art installation — a four-year-long live-stream set up at a New York City museum at which Americans concerned by Donald Trump’s presidency can film themselves speaking out in protest.